PT. Flextronics Technology Indonesia provider focused on delivering complate design, engineering and manufacturing services to automotive, computing, consumer, industrial, infrastructure, medical and mobile OEMs. 0 Komentar untuk "Lowongan Kerja PT. 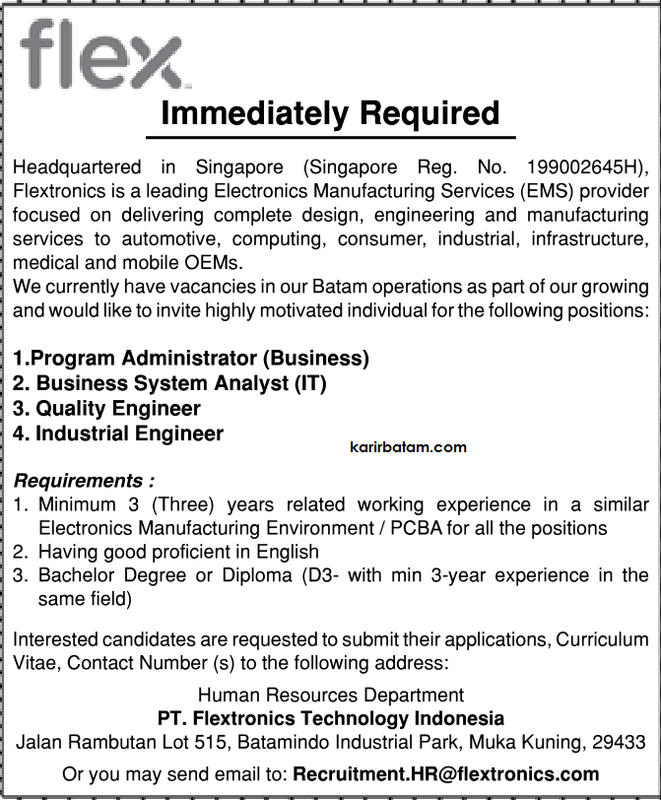 Flextronics Technology Indonesia"